One of SEGA's greatest hits, among many others, was the popular Crazy Taxi. This game was a car simulator in which we had to drive a taxi picking up clients and taking them wherever they wanted, driving our car at full speed and causing havoc. Its different installments were available for both Dreamcast and PC, as well as PS2. 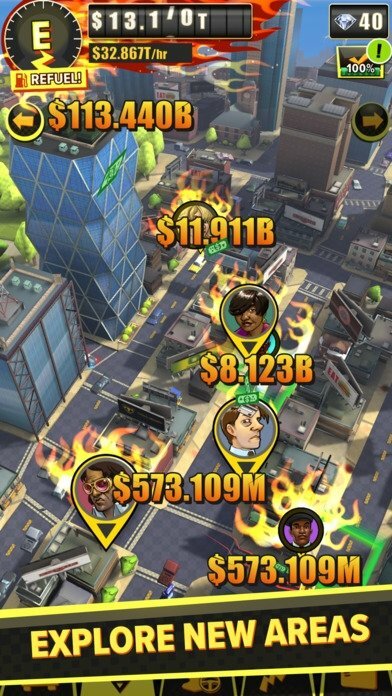 Within the Crazy Taxi saga but with a totally different approach, we can now play this Crazy Taxi Gazillionaire, a game that lands on Android and iPhone as a clicker management game that still revolved around the world of taxis. Here, we'll basically have to start a business adventure from scratch fighting against the powerful Prestige Mega Corp., the company that's monopolizing the business of passenger transport in our city. With a single taxi, we'll have to pick up customers thanks to whom we'll earn enough money to invest in improving our cars and hiring more drivers. As our fleet grows, money will come flowing in and we'll be able to expand our map of routes... and if we can play a dirty trick on our rivals now and again, even better. Cause havoc amongst the traffic with each customer you pick up. 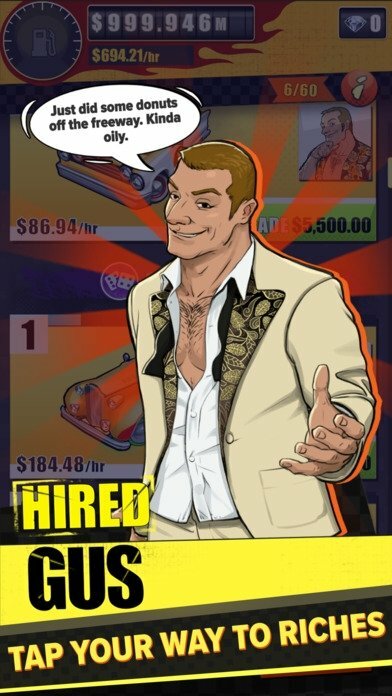 Purchase, improve, and increase your fleet of taxis. Hire and evolve your different drivers. 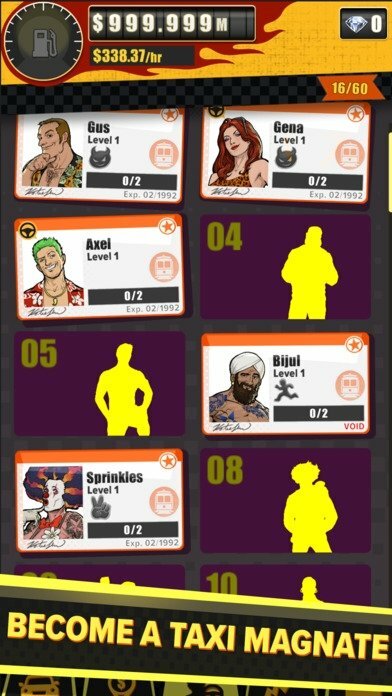 Match taxi drivers with their favorite cars. 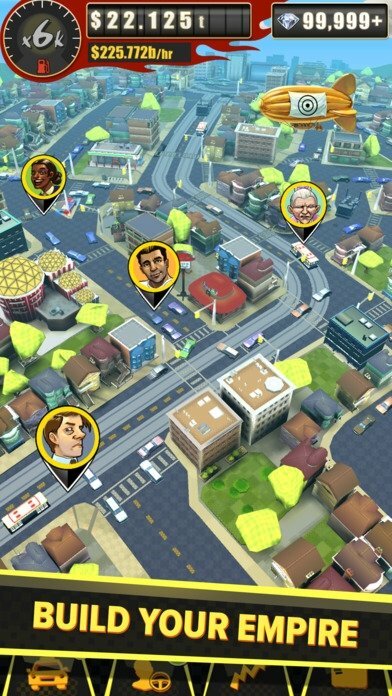 Expand your routes around town and explore the entire map. 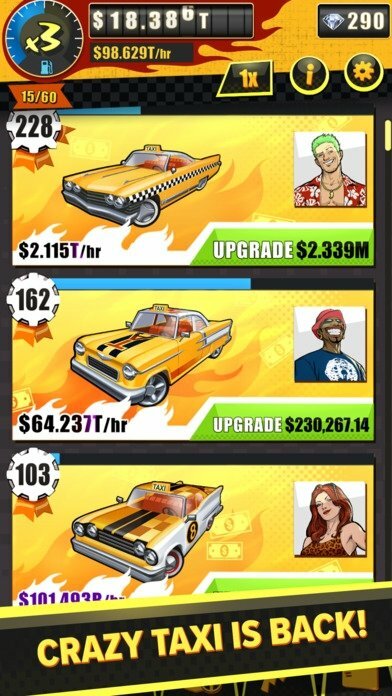 The game still has references to previous classic versions of Crazy Taxi, such as some of the most traditional characters or its soundtrack, that includes songs by The Offspring.